The demand for solar panels in the United States is at a record high, making solar panels more affordable than they’ve ever been. This makes solar a pretty solid return on investment, since most solar panels will produce enough power to offset their initial purchase cost over their lifetime. You can reduce your initial investment in solar panels even more through tax incentives, energy credits, and bulk pricing. Not all solar panels are created equal, and generally speaking, a cheaper panel won’t produce power as efficiently as a higher-quality panel. In order to make the best investment for your budget, you’ll want to balance long-term performance against the initial cost of a panel. Form factor all counts toward cost. Do you want to go with traditional PV panels, or more costly integrated roof shingles? In order to compare solar panels against each other, each panel has standard measurements of power output, efficiency, and operating temperature coefficients that are determined under standard testing conditions. This allows homeowners and solar installers to choose a panel that suits their expected conditions and power needs. 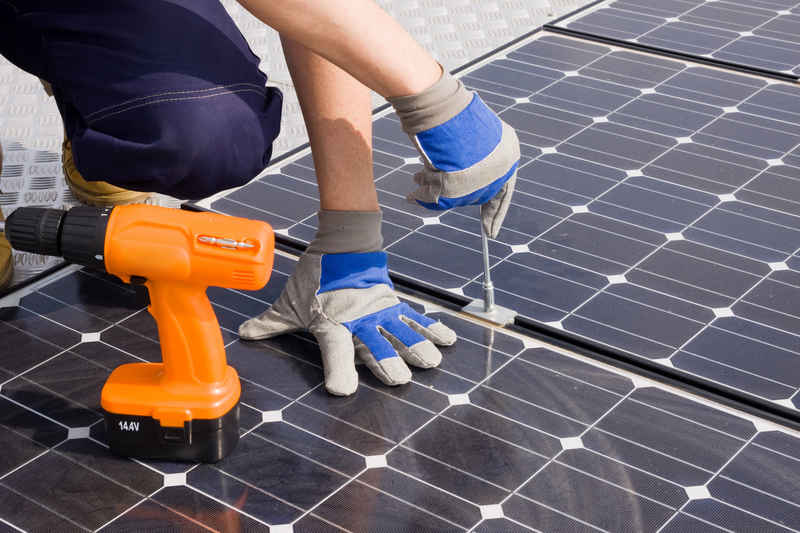 For a more thorough breakdown of common solar terminology, go here. The nameplate rating of the panel represents power output, measured as the amount of DC (direct current) electricity produced under ideal conditions. Generally, panels are rated to produce between 200 and 400 watts, depending on the size and quality of the panel. Your panel may never produce this much power, since the rating represents the expected production under perfect conditions; variables like sun exposure, the angle of your roof, tree cover, temperature, and atmospheric conditions can all decrease the efficiency of your panel. This is normal, and solar installers will consider all of these variables when placing your solar panels for optimum efficiency. A solar panel’s nameplate rating also includes a power tolerance rating, since panels produced under the same conditions may vary slightly in their output. Generally, panels can vary by about 5% above or below their nameplate rating. A solar panel’s efficiency rating is a measure of how efficiently it converts the energy from the sun into electricity. In more specific terms, this number refers to the kilowatt-hours (kWh) of energy produced for each watt on your panel’s nameplate rating. Most panels have an efficiency rating between 14% and 20%. This number may seem small, but the all-time record for panel efficiency in perfect lab conditions is just over 25%. This is the nature of electricity production through a photovoltaic system; the other 80% of production is lost as dissipated heat. Solar panels produce less power in extreme heat. Standard testing conditions occur at 77ºF, and panels will lose a percentage of their efficiency as heat increases. A panel might have a temperature coefficient of 1% for every 4ºF increase in temperature above 77ºF. The temperature coefficient of a panel is much more important for homeowners in hot climates, and should be considered strongly when comparing panels. Most panels can be sorted generally by their cost, efficiency, and durability. The differences between these panels will vary by manufacturer, panel type, and the year they were produced. Solar panel manufacturing is a rapidly evolving market, and your solar installer should have a good grasp on the current state of the market. The costs of individual solar panels make up approximately 30% of the total cost of your system. The balance goes into labor, permits, inspections, and other system components. Prices for solar panels vary greatly by region and manufacturer, and are subject to rapid change year-to-year. Generally, a premium panel like those manufactured by LG or Sunpower will run in the ballpark of $450-475, while a lower-quality panel from Topoint or Astroenergy will cost around $200-300. You can find out the current market prices by talking with a solar panel installer, who will always have up-to-date pricing on panels from a range of manufacturers. It’s also important to consider the more expensive panel’s performance, durability, and warranty as money saved in the long run. Low-end panels are the least-expensive panels available for installation. You’ll have to make a lot of sacrifices with a low-end panel in terms of durability and efficiency, so we recommend you invest in a higher-quality panel if possible. Most economy panels have an efficiency rating below 15%. Low-end, cheap panels are also usually associated with shorter manufacturer warranties against defects, perform poorly in high temperatures, and lose efficiency over time at a faster rate than a higher-quality panel. These trade-offs make them not as great of a long-term solution for solar energy, and will limit how quickly you’ll see a return on your investment through power produced. The vast majority of installed panels in the U.S. market can be considered midrange, and provide a great compromise between initial cost and long-term benefit. These panels are durable and reliable, and usually have an efficiency at or above 15%. Because these panels make up the bulk of panels on the market, it should be easy to find a manufacturer that backs panels at this price point with a very good warranty. With so many manufacturers and individual panel types in the midrange category, you might want to let your solar installer determine which panel represents the best intersection of price, quality, and warranty. Like any consumer product, solar panels also include a high-end, high-cost option for homeowners with flexible budgets. If you have the ability to invest in high-quality solar panels, you’ll see exceptional durability and precision in manufacturing, which results in efficiency ratings as high as 20% and a warranty measured in decades, not years. These panels also have more favorable temperature coefficients, which lets them operate better in extreme temperatures, making them an ideal choice for very hot climates. Because of their high cost, these panels can be prohibitively expensive for some, but are uncompromising in their overall quality. 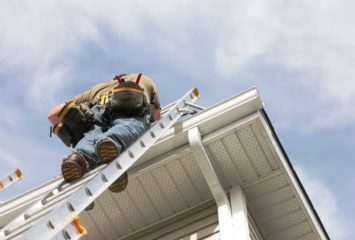 These panels are a good investment if you know you’ll be in your home for a long time, and you’re committed to optimizing your home solar project. This longevity makes a solar panel very cost-efficient. Generally, a solar panel will live long enough to offset its purchase cost through the electricity it produces from the sun several times over. The cost of solar panels and solar installations is different from state to state. Some states, like California, Arizona, Maryland, Florida, and Massachusetts, offer tax benefits for solar panel purchases, which can help lower the initial cost. These tax benefits can change from year to year and vary by region, so it’s best to consult with your local solar installer to understand the full cost of your system. The ability to sell the electricity your panels produce back to the grid through your utility provider can significantly decrease the time it takes to see a return on your investment, and is another option available to homeowners in some states. These credits are called Solar Renewable Energy Credits, or SRECs. Each SREC represents 1,000 kWh of electricity. Some regions have mandatory renewable energy requirements for large energy consumers like industry or commercial entities, and these entities will often purchase renewable power from the utility to meet this requirement rather than install a renewable energy system themselves. The energy you produce through your home system is valuable to this market, and the value of your SRECs may vary by region. If you choose to sell your energy credits, you won’t be able to use that electricity yourself and you’ll pay for your electricity use through your utility, but you could see your panels offset their purchase cost in as few as 3–5 years, after which they’ll start generating income in the form of free electric power. 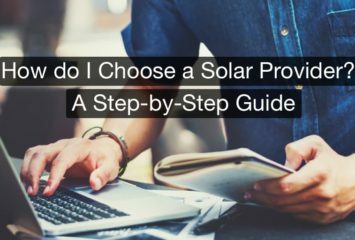 If you have any other questions about choosing solar panels, be sure to let us know in the comments below.